Swim Accs. Sierra Diving Center, Reno's leading Swim Equipment and SCUBA Instruction Supplier. Sierra Diving Center is your source for the full line of Aqua Sphere swim products. This is the mask that revolutionized the swim industry by adding fit, functionality and comfort to aquatic eyewear. The patented curved lens provides 180-degree peripheral vision without distortion. A comfortable skirt and easy-adjust buckles provide a watertight fit. Available in a variety of frame colors and four lens types- clear, tinted, mirrored and photochromic. Patented Nature's Wing� fin technology virtually eliminates ankle fatigue for fitness swimmers, allowing for a full-leg workout that can be sustained over longer periods of time for maximum aerobic benefit. The unique blade features specially engineered side rails, strategically aligned flex channels, and hydrodynamic stiffening battons that combine to make the Zip Fin the most comfortable and efficient fitness fins on the market. 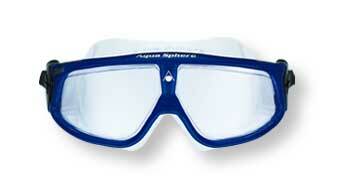 A traditional goggle with added comfort and visibility. 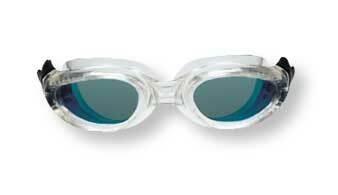 The Kaiman goggle is an excellent competitive-style goggle that offers features superior to a traditional swim goggle. Constructed of Softeril, the Kaiman also provides 100% UVA and UVB protection. The Kaiman is available in a variety of colors and comes in large and small sizes for adults and children. Available lens options include clear, tinted, mirrored, blue and amber.